Brainobrain Jumeira Child Development Program is presented as the resource for bright and imaginative young minds in this print advertising campaign from Dubai. 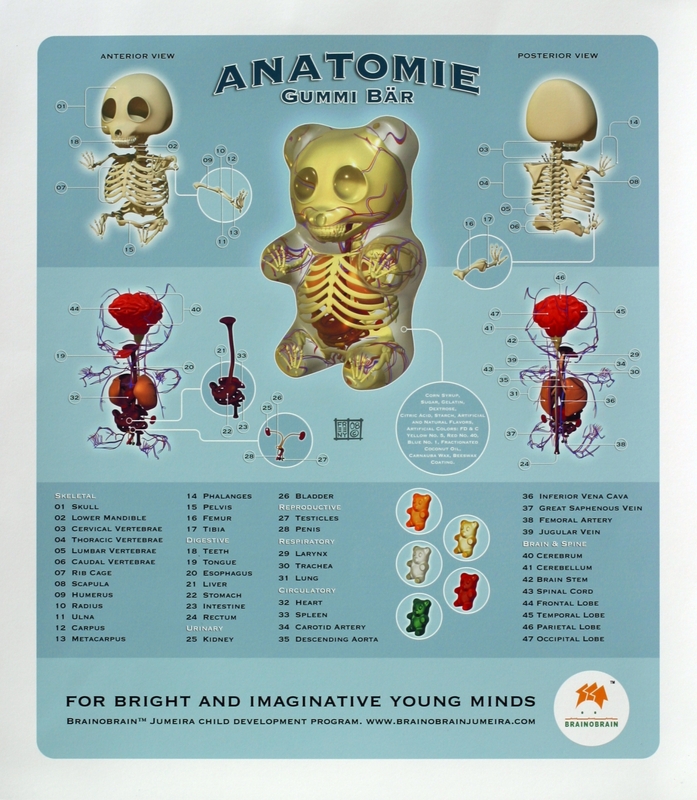 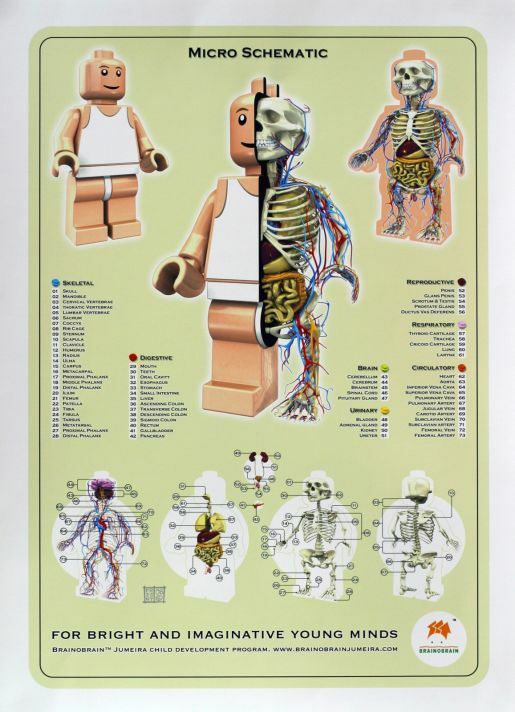 Anatomical diagrams are provided for a Lego man, a Gummi Bear and a Poodle Balloon. 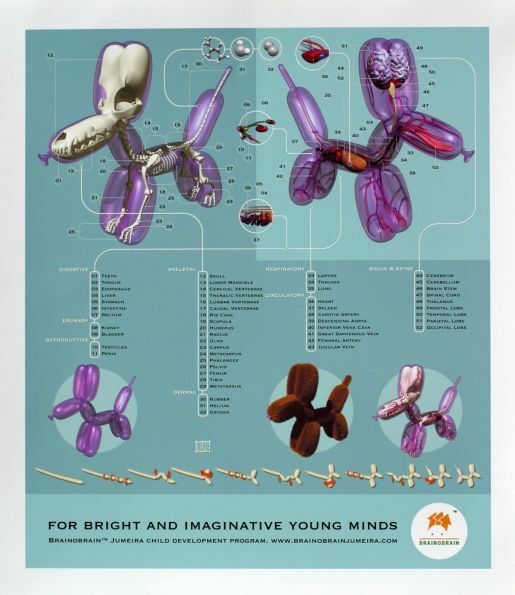 The schematics campaign won the Grand Prix for Outdoor and Gold for Print at Dubai Lynx Awards 2009. The Brainobrain anatomy campaign was developed at FP7, Dubai, United Arab Emirates, by executive creative director Marc Lineveldt, creative director/copywriter Neil Walker-Wells, art director/typographer/illustrator Jason Freeny at MoistProduction, with art buyer May Farhat and advertiser’s supervisor Raji.